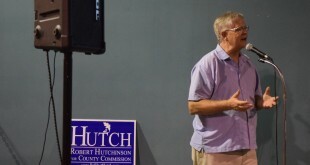 Hutchinson will have to face write-in candidate Sarah Payne Bliss on the November ballot, but he is not worried. 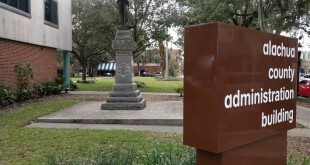 The Confederate soldier statue continues to inspire questions as to where and how it may or may not be relocated. 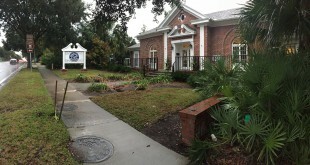 The Matheson History Museum and the Alachua County Board of Commissioners are working on plans. Might A Second Civil War Statue Join Old Joe? 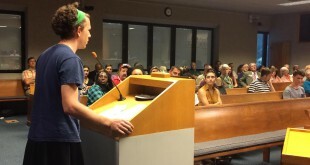 The fate of Old Joe remains uncertain. 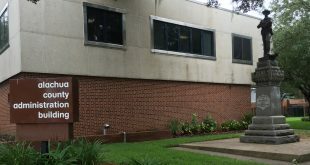 The County Commission and the Matheson History Museum have yet to agree on where the next home of the Confederate soldier statue will be. Old Joe will be moving soon the the Matheson History Museum. However, county commissioner Robert Hutchinson will not spend county money in the efforts to move Old Joe. The bills are currently in House and Senate committees. 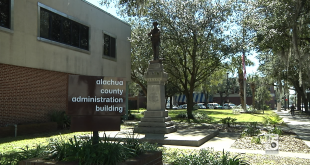 A Tuesday Alachua County Commissioners meeting let residents voice their opinions on whether or not to keep the statue of the Confederate solider in downtown Gainesville. 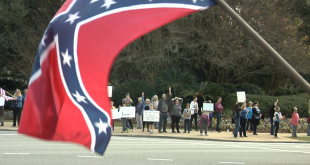 Some opponents of keeping the statue said that it was associated with slavery, while others in support of keeping it where it is said it is a symbol of history. 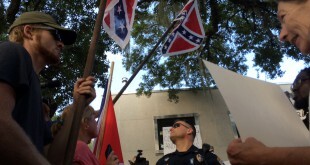 Both sides of the struggle over the downtown statue of the Confederate soldier protested feet away from each other Thursday night. Over 100 people crowded at the foot of the statue with chants, talks and conversation over the statue's symbolism.